It’s that time again – just far enough past the holidays to soften the resolve you felt as you made that doomed New Year resolution to do better in 2017. We won’t preach on heart health; we’d rather inspire, and maybe incentivize you to take action TODAY. Love On a Pet Have you heard about Love on a Leash®? It’s a charitable organization with some 2,000 members working as Love on a Leash® therapy teams with their dogs, cats or rabbits. Therapy pets and their handlers visit nursing homes, hospitals and schools to provide emotional support. They put a smile on someone's face, make their day a little brighter, or bring back a cherished memory. Did you know that showing compassion is a natural antidepressant? Visit loveonaleash.org to learn more. 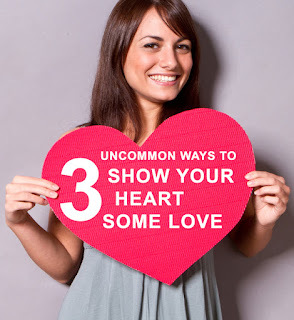 Show your heart some love and start today! Along with exercise and a healthy diet, don’t forget to add Twist 25 DHEA Cream to your daily health regimen. DHEA has been shown to counterbalance the negative inflammatory effects of cortisol, the stress hormone. Order today and take advantage of your special discount when you buy 3 (save $14.85).